We stayed at Wyndham on Wentworth in Sydney, and although the room was small by Wyndham standards, it was very cosy and comfortable. We ate across the road at the pub and had a delicious meal for a very little price. 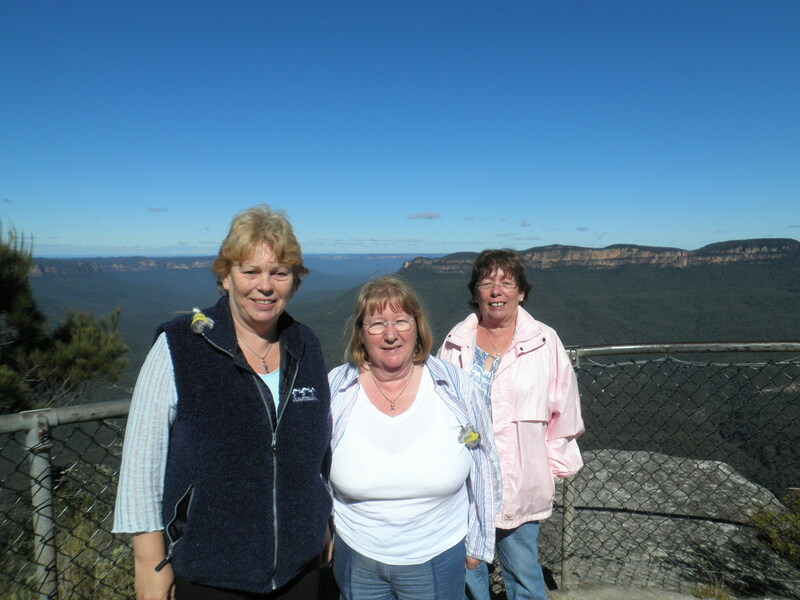 The next day the coach picked us up bright and early and took us up to the Blue Mountains. We visited the Wildlife Park and saw an Albino Kangaroo, 2 course lunch, scenic rail and cable car, then Leura and a River Cruise back to Sydney. We had a glorious day on the coach going up to the Blue Mountains as early May is the perfect time everywhere to take a holiday and the weather was of course perfect. From Sydney we went on to Fiji and stayed on Denarau Island, which would be my major destination if I didn’t live so far away in Perth, but it is definitely not one to miss. You relax as soon as you get on the island because no-one is rushed and they call it Fiji Time. The people are just so friendly, the food was divine and very reasonable, so reasonable in fact we ate out every evening in the resort restaurant. Twice we had entertainment and a smorgasbord with the Hawiain night and Lovo night, the fire dancers were the best I have ever seen, it was just fantastic. We had one day going on a cruise to South Sea Island and the crew looked after us like we were porcelain. After this holiday I really didn’t want to leave it was just so perfect and relaxing and beautiful. I would definitely recommend this holiday to anyone. This entry was posted in (Fiji) Denarau Island, (NSW) Sydney and tagged australia, family, Fiji, Sydney, travel, vacation ownership, worldmark, Wyndham Resorts. Bookmark the permalink.